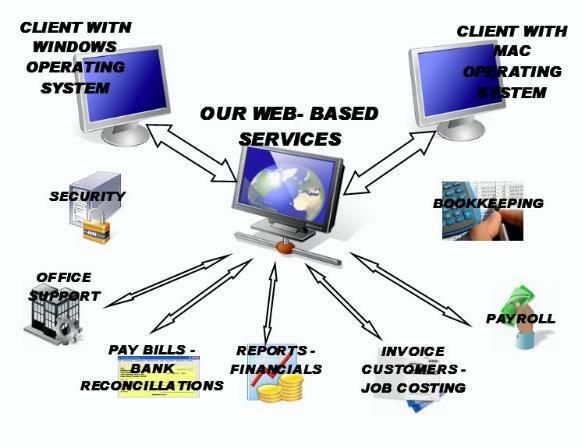 Below is a diagram of how our system works with our clients. The three levels of accounting services described below serve as starting points to help you determine the level of accounting services you require. Input Transactions: We enter all your transactions into our accounting package on a monthly basis. Reconciliation of Bank Statements: Your bank statements can be mailed directly to Financial Connections for reconciliation. Financial Statements: We will provide monthly financial statements for your review as part of our essential accounting services package. Assist with cost control: Based on our experience working with many customers, we will let you know if you appear to be paying too much for specific items or services. Accounts Receivable: We will invoice your customers and manage collection as necessary. We can receive your payments and deposit them directly into your bank account. Payroll: We will manage your payroll and maintain your payroll records, including all Quarterly tax payments, Year End W-2 processing and State reporting requirements. Assist with Cash Management: We will prepare collection letters for you to sign and send to your customers, and we will make sure your bills are paid on-time, but no earlier than necessary. Enhanced Accounting Services include all Basic Accounting Services plus custom reports that enable you to better analyze your revenue and expenses and quarterly budget reviews. Breakout of Expenses: It is often useful to break expenses out into different categories, such as by product line, office, or region. Reports such as these are available as part of Enhanced Accounting Services. Project Tracking Reports: we can track and analyze projects you have ongoing or new projects along with their associated costs. Cafeteria Plans. We can help you set up compliance with the Department of Labor and Industries and other agencies. Deprecation and Amortization Schedules: Prepare all necessary Deprecation and Amortization Schedules and keep them current with new Capital Expenditures. Information: If you need to get information on Employee Benefit Plans, Insurance Quotes or fill out Loan Documents we are here to help you. 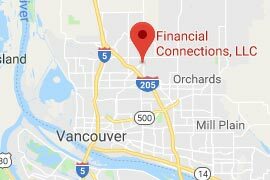 Financial Connections will prepare all necessary reports and documents for your year end Company Taxes and submit them to either your Accountant or to a local Accounting firm which we have done business with for over 15 years. Enhanced Accounting Services can be tailored to meet your specific financial needs. If you need a solution that you just can’t seem to get in house or from another agency just let us know and we will work with you to meet your needs. We are strongly committed to our clients accounting needs!